Once again we witness a larger than life installation by advertising agency Molotov, São Paulo, Brazil. With a tagline “Do you see how smoking disrupts your life?”, I question how it would evoke the audience to fully understand their messaging. 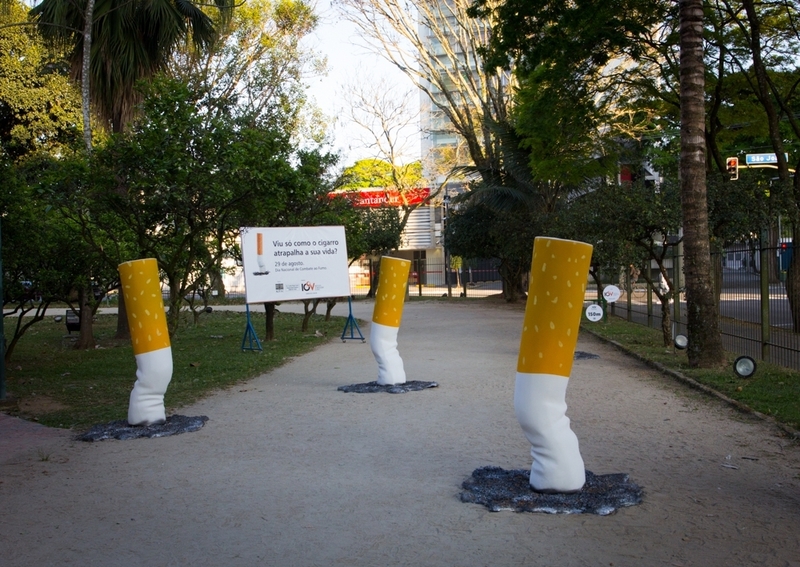 Nonetheless, the idea of having the huge cigarette butts does play a part in disrupting the ease of flow of traffic. In a way, it does create a disruption. I agree with you – I doubt it that everybody gets the message. However, I think this strategy is effective nontheless. These huge cigarettes don’t look pretty, so one automatically assumes that it’s a campaign against smoking. The main aim of guerilla marketing campaigns is to get attention. They sure did a good job here. Thanks for the comments. 🙂 Still it is thumbs up for the effort ya.